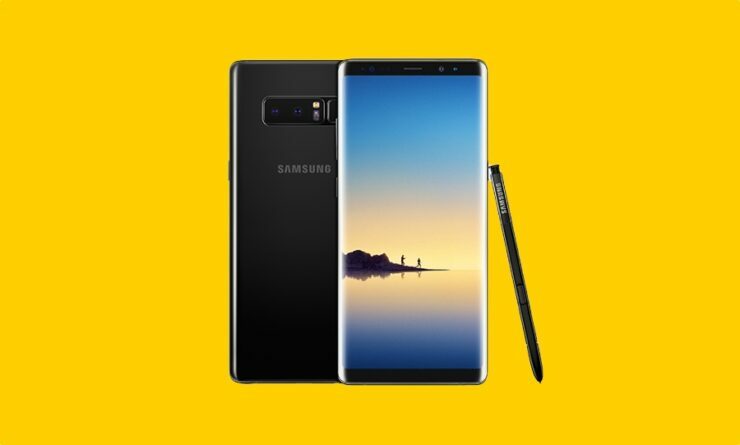 Samsung’s Android Pie beta train is moving at full speed for the Galaxy Note 8. After the beta program started last month, the handset has received two updates. Today, the third Galaxy Note 8 Android Pie beta is now rolling out. The update brings forth a few fixes for some bugs found in the previous version along with the February 2019 security patch. The Galaxy Note 8 is receiving beta firmware bearing version N950FXXU5ZSB1 weighing in at a hefty 678MB. Some of the bugs that are fixed include the fingerprint sensor not working in Samsung Pay, lag when clicking on the recent app button, music playing automatically when Samsung Music was closed from the top bar and a few more. Another bug that plagued the earlier Android Pie release on the Galaxy Note 8 was the one that prevented the Air Command icon from appearing when the S Pen was removed. The camera app forcibly closed when the video screen ratio was changed and the photo editor crashed when an image was rotated. Prima facie, the release might seem bugged, but that’s how beta builds are meant to be, which is why one has to be careful before enrolling in the program. The third Galaxy Note 8 Android Pie beta is now rolling out. Users who have signed up for the beta program can get it OTA or attempt to manually trigger it by tapping the Download and install option button on the Software update menu in the Settings app. The final release shouldn’t be too far off, considering that both the Galaxy S9 and Note 9 received their stable release after four iterations of the beta build. We can expect the final product to roll out to devices worldwide in the next week or so, which is more or less on par with Samsung’s Android Pie roadmap.